Dressier shoes have never been as easy to buy as a fresh pair of sneakers. The sizing is always different, you have to worry about things like the lasts each shoe is built on — meaning that sizing varies greatly between manufacturers, which often results in the hassle of having to try the damn things on. We know this from experience, and seeing as to how we love sneakers as much as you do, but don't mind throwing on brogues, boots, boat shoes, or loafers just to shake things up, we noticed that a lot of our favorite sneakers helped influence the kind of dressier footwear choices we made. Then we boiled them down to just a few for this handy guide on hardier shoes based on familiar kicks. 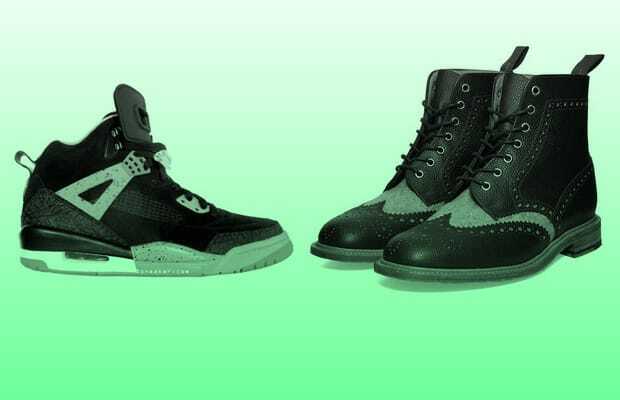 Check out Sole Brothers: A Shoe Guide for Sneaker Heads.